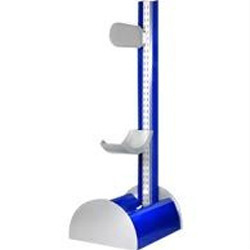 This tire display stand comprises of a telescoping vertical support attached to the base. With easy to assemble and dismantle features, it can be used to showcase tyres in various places like showrooms, retail shops etc. We are engaged as the Manufacturer of an exclusive collection of two tire racks. 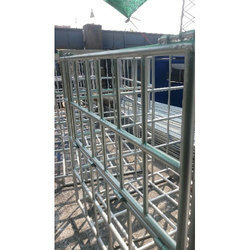 We provide the clients with a variety of Steel Almirah, Steel Kitchen Trolley, and Steel Sofa Bed. The Steel Furniture offered by us, is manufactured with precision using advanced machines. We are known in the industry for offering Two Tire Racking System that are primarily designed for the warehouse. These are widely used in the areas, where goods are stored and removed manually from the shelves. The patented Pneu-Logic Data capture tools transmit tread depth and pressure readings to any Windows mobile device through our own Pneu-logic software, or a host of reseller specific applications, has ensured our tire inspection solutions are No 1 in the market today. Godrej Racks for tire storage in godowns and warehouses. Experience faster delivery.